Live, from Calgary, Alberta, Canada, it is now time for the REAL main-event of the evening: honoring Bret “The Hit Man” Hart! A quick highlight package of Bret airs for the intro, then we cut to Jerry “The King” Lawler in the ring. 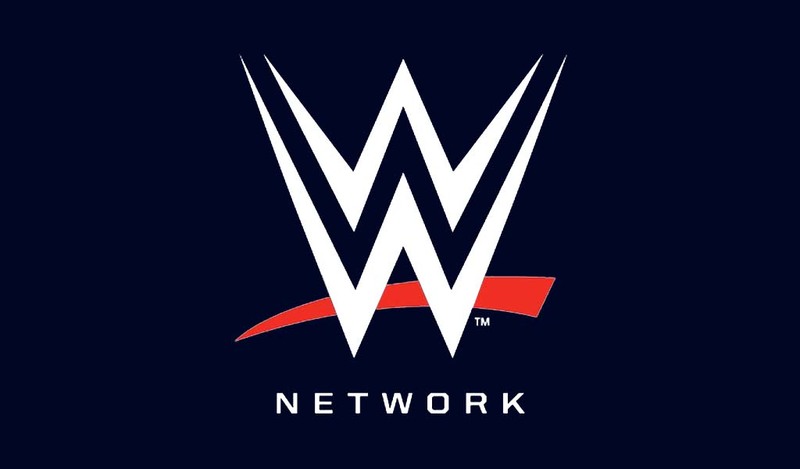 He welcomes the WWE Universe, everyone watching on the WWE App, as well everyone in Canada watching on The Score sports channel. Lawler announces that today (May 27) is Bret Hart day. Another video tribute, comprised mainly of footage from DVDs, airs, exemplifying the excellence of “The Hit Man’s” career. Back live, Jerry brings out the hometown hero. 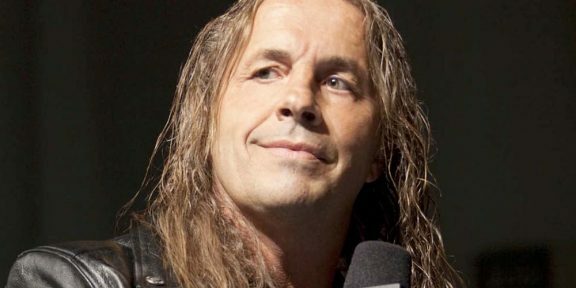 Bret “The Hit Man” Hart walks to the ring, amid many signs and praises, as well as a standing ovation from Michael Cole and John “Bradshaw” Layfield. “Thank you Bret” chants blare out. Lawler reads out a certificate presented to Hart, courtesy of the city of Calgary. 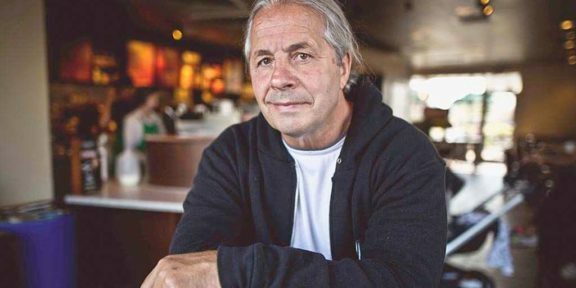 It summarizes his accomplishments in the professional wrestling business and his family history, and officially proclaims May 27th, 2013, as “Bret ‘Hit Man’ Hart Day.” The certificate is signed by Calgary’s mayor. Bret takes the microphone and calls it a “huge honour.” He feels his late brother Owen, late father Stu, and late brother “The British Bulldog” Davey Boy Smith are watching from above. Owen chants loudly sound out. Bret says the award is “more genuine” than winning championships, because it comes from the people of Calgary, which means a lot to him. He thanks his children for all the sacrifices they made when he was gone on the roads for 23 years. A shot of his children in the crowd is shown. Hart gives accolades to all the wrestlers, from those who he first worked with in Stampede Wrestling and gave him his big breaks, to all he stepped in the ring with over the years in WWF/WWE. “Mr. Perfect” Curt Hennig and Davey Boy are particularly mentioned. He also thanks his wife Stephanie, as well as Lawler for being “one of his greatest adversaries.” Bret remembers how Jerry poked fun at his parents, and Owen got mad and wanted to ease up the comments, but the their late Mom ended up loving it, and it turned her into a wrestling fan! Next is another Canadian, current-roster star “Y2J” Chris Jericho. While he says he never actually got to wrestle Bret, he did many times in his mind. He calls Bret one of his two heroes, the other being Owen. Instead he came to Calgary to train with Stu, and Jericho tells a story about a Stu Hart Birthday Show in 1995, where Jericho was in the locker room. Chris recalls that Bret asked the dressing room if anyone knew a new finish he could use against Davey Boy in his upcoming Pay-Per-View match. Jericho timidly demonstrated the La Mahistral, a cradle roll-up he saw in Japan, and then was honored himself that Hart did use the move in the PPV match with British Bulldog. Jericho called this a “classy” move, that the WWE World Champion would use a move that an up-and-comer suggested, and was inspired to keep going with his career after this notification that Bret Hart was learning stuff from him. Lawler now says that Bret’s career is also always remembered for one particular night. With no more introduction, he brings out Bret’s greatest rival (in my opinion), “The Heartbreak Kid” Shawn Michaels. The last person to walk out and pay respects is the boss himself. WWE owner, Vince McMahon marches out as only he can and embraces with his longest friend, enemy, and friend again. Bret makes a final speech, talking about the great memories he had in WWE and the great wrestlers he got to work with. Bret’s famous music plays in the background as the locker room walks out to the stage to give props. Appropriately, Natalya and Tyson Kidd (who is now off crutches and looks to be healing real well) enter the ring to personally be with Bret. Among the wrestlers and other stars on the stage is Lance Storm, also an excellent wrestler and fellow Canadian. The show closes with slow-motion clips of Jericho shaking hands with Bret, as well as Shawn and Vince hugging him. Everyone on the stage, the fans, and in the ring, are clapping, showing their appreciation for one of the greatest wrestlers and men in pro-wrestling of all-time, Bret “The Hit Man” Hart, and the last shot is of him waving to the crowd one last time. This was really, really cool to watch, and I believe a great “send-off” for Bret Hart. 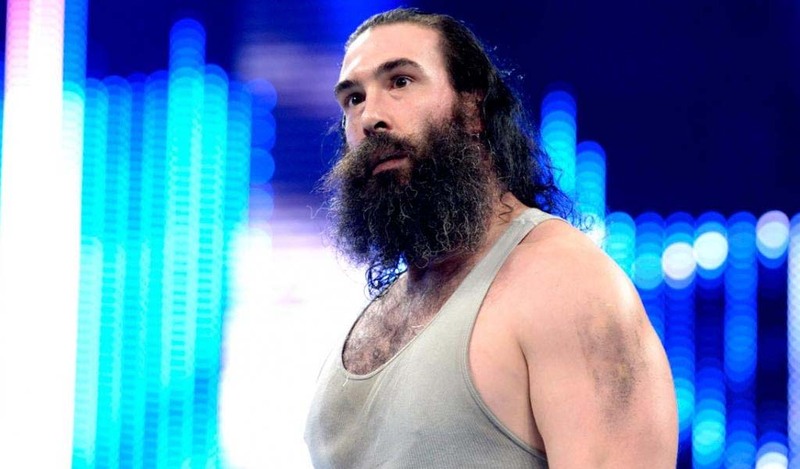 I think this provided absolute closure for him and all the wrestlers and fans (like me) who grew up watching him and all he has gone through in his LIFE. I’m proud to say that I met Bret in 2007, when he making book signing appearances for his autobiography, and am always in awe when I think about meeting one of my original favorite wrestlers from the time I started consistently watching (then) WWF in 1997. I was completely enthralled with the then-Hart Foundation and was/is a Bret Hart supporter! I think that Bret Hart and Shawn Michaels was the greatest rivalry of all-time, because it was completely real, in AND out of the ring. However, my favorite match of Bret’s was SummerSlam 1992, him versus British Bulldog Davey Boy Smith for the Intercontinental Championship. And that is because of the story that Bret said he had to carry the entire match since Davey Boy couldn’t remember any of the spots. It was a masterpiece with a very sweet ending, both technically and emotionally. I do wish they had a few more wrestlers come out to say something, but in all, this was very, very sincere, and just really neat to see. 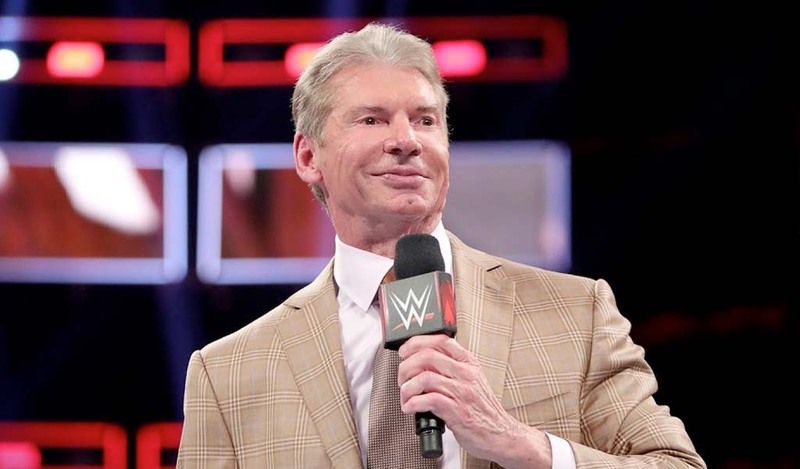 I’m glad Vince, Shawn, and Bret were able to “bury the hatchet” on their past issues a while ago, and properly end Bret’s career and legacy on a high note like tonight. This was honest and genuine by all involved, and I hope they are able to do more appreciation nights like this for many more legendary wrestlers in the future. Bret, thank you for the memories, the wrestling matches, the stories you provided in the ring, and your family. You are a true Canadian hero and you and your family will always be remembered.